You can contact us at YWP.KwaZuluNatal@gmail.com if you have any questions or would like to get more involved. The KwaZulu Natal-YWP Chapter held its annual technical tour on the 21st of October 2016 at the Newlands-KwaMashu Research Site. This event attracted more than 25 YWP from Provincial Universities, local Water Services Authorities (WSA) and local Water Services Providers. They were all enthralled by the innovative strategies of providing sanitation services in challenging circumstances. The Newlands-KwaMashu Research Site in Newlands East is owned by eThekwini Water and Sanitation. It houses a decentralised wastewater treatment system (DEWATS) with primary anaerobic treatment followed by post treatment in constructed wetlands. The plant treats domestic wastewater generated by 84 households in the surrounding area. This site also serves as a research ground for scientists and engineers (both local and visiting internationals) from the Pollution Research Group, University of KwaZulu-Natal and Durban University of Technology. EThekwini Municipality plans to implement this approach as a sustainable treatment system for Greenfield housing and community ablution blocks (CABs) installed in informal settlements located outside the sewer boundary. This year the South African Young Water Professionals (SAYWP) the KwaZulu-Natal Chapter partnered with Unilever- Indonsa to expose young water professionals to sustainable practices to reduce, re-use and recycle water in production. The tour was attended by 20 YWP members and it entailed a tour of the production plant as well as the water treatment plant. KZN members were invited to the Illovo Sugar Sezela Mill in the south of Durban for a tour of the plants water distribution system in producing various products from sugarcane. The event took place on 29th August 2014 and was attended by 15 YWP members. Staff of Illovo Sugar Sezela presented to the YPs, took them on a narrated tour of the sites Ash Dam, Aerobic and Anaerobic membrane batch reactors and hosted a fun-filled Q&A session afterwards where prizes were awarded. The event was sponsored by Illovo Sugar Sezela and Jeffares & Green. The KZN Committee were invited by the Mayibuye Youth Organisation to provide a motivational talk to the school kids from the rural area of Umkomaas, south of Durban. The Mayibuye Youth Organisation is a group of young individuals who have come together to help uplift their community through motivating the youth. This event was held at the heart of the township in Umkomaas and was attended by Ward Councillors and other prominent figures in the rural community. Jasmitha Soondarjee and Suvritha Ramphal attended the event. They had the opportunity to chat with school kids and present to the community and invited members. The DUT World of Works Career Day is an annual event attended by the KZN Committee as it proves to be a successful marketing and recruitment event for YWP-ZA in KZN. This year we were approached by Serisha Naipaal from Women in Engineering to attend one of their conferences after they heard about YWP-ZA and their initiatives with young professionals. The KZN Team attended the UNISA Career Day for the first time this year. This was a tertiary institute that was neglected in the past and the KZN team saw it as an opportunity to market YWP and also gain an understanding of the student market within UNISA. YWP was approached by staff of UNISA to be involved in their first Environmental Campaign that was launched a few weeks after the Career Day. Franclyn Samuels attended the University Career Day at Mangsotho this year. Many students expressed their keen interest in joining YWP-ZA with a few volunteering to be a part of the committee. See our National Events Page for the update on the WISA Conference 2014. 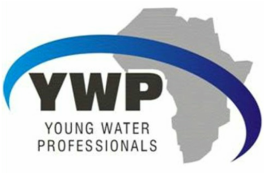 YWP-ZA KZN was invited to adjudicate on the panel for the regional SA Youth Water Prize. The DWS, the then DWA, held the adjudication on the 16th May 2014 at the DWS building in Durban. Five schools presented their projects to the panel of which only one was chosen to move on to the National round. Suvritha Ramphal and Tezren Pandither provided mentorship to the winning school from KZN in preparation for the National round, in which KZN won second prize!!! The Student Water and Sanitation Conference was a huge success. Dr Inga Jacobs, Suvritha Ramphal and Franclyn Samuels attended on behalf of YWP-ZA and KZN. Dr Inga Jacobs presented to the students on the opportunities the water sector has to offer them and why the water sector needs them. Franclyn Samuels and Suvritha Ramphal were invited as adjudicators that sat on a panel of three that judged the debate competition between various invited schools on the topic of – How to address Water Scarcity in eThekwini. It proved to be most energetic and an excellent networking opportunity for KZN YWP-ZA for future potential partnerships with eThekwini Municipality. Sponsored by Royal HaskoningDHV, YWP-ZA attended this year’s Vula Career Day that aimed to provide underprivileged matriculants with the opportunity of meeting with companies and organisations from all sectors to gain a better understanding of what they would like to achieve when entering into the working or tertiary institute environments. Every year the UKZN PMB campus invites YWP-ZA to give a motivational presentation to their undergraduates, postgraduates and PHD students studying towards a degree in hydrology or environmental management/ sciences. This year the students were so motivated from YWP-ZAs presentation that it inspired them to start their own hydrology club, with planned events for the calendar year.